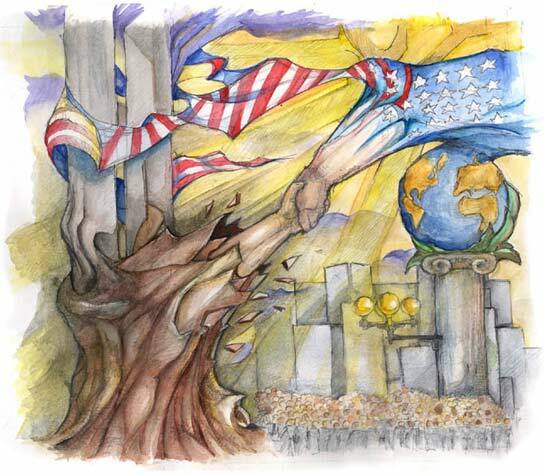 This sketch was created as a response to the WTC attacks. It was selected for a commemorative mural at Hunter College High School. 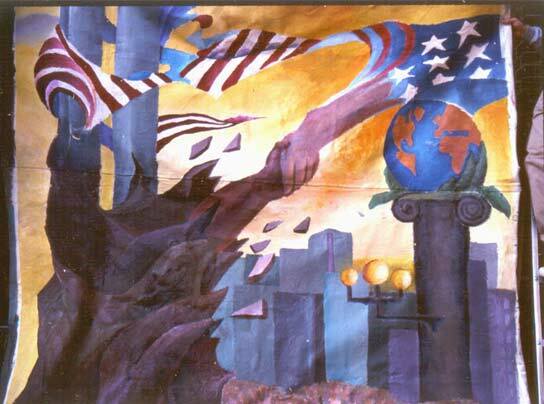 During a school-wide event, I coordinated a group of students in painting the mural, and continued to work on it throughout fall 2001.